Look at these faces….cute right?? Adorable?? Sweet?? OF COURSE they are all of that!!!! What their faces DON’T tell you is that their start WASN’T “cute”, “adorable” OR “sweet”. 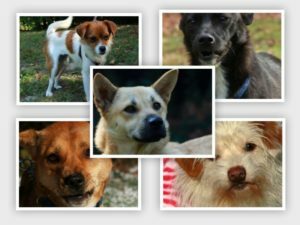 These AMAZING dogs are just a few of the dogs at Carter’s that have been rescued from the horrendous conditions in China. These guys survived the AWFUL Dog Meat Trade…..when sooooo many other’s have not. Despite their horrible beginning, these dogs have the SWEETEST dispositions. They may not trust at 1st, but the fact that they are able to after a little bit of time with us is a true testament to just how amazing these guys are!!! Without the generosity of our amazing followers, these rescues would not happen. But its not over….its FAR from over. We rely on all of you to help us continue doing what we do. We are in constant need of donations to help us with their vet care, and daily care. Hopefully in our lifetime we will see an end to the Dog Meat Trade….and while we wait for that to happen, we will continue rescuing these helpless babies, and lobbying for an end to it. Please share….share their pictures, share their stories, and in turn, they will share their love with you all. Which one of you will be the lucky one that gets to spend your life with one of our China babies? !